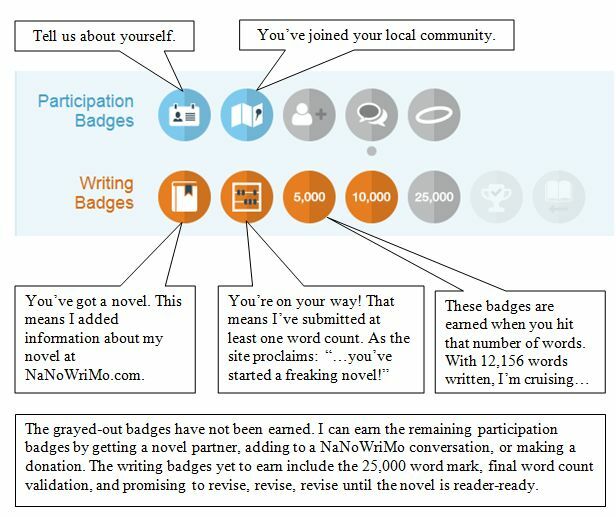 I promised to keep you up-to-date on my progress during National Novel Writing Month (NaNoWriMo) and to let you know what I think about the Scrivener software. So here goes! NaNoWriMo Fun Fact: Sara Gruen’s Water for Elephants, a book on my Gold Medal list, was drafted during a NaNoWriMo month. Go through the Tutorials. It took me less than two hours and I became very comfortable using the software. I used Scrivener to outline the novel. The creative process of figuring out the scenes took 5-8 hours (this novel had been in my head for years, so I just had to get it onto paper). The Scrivener Process for setting up the Chapters and Scenes: 2 hours. Now when I sit down to write, I choose a scene, read my writing prompt, and I’m off and running. I got to spend three wonderful hours spent fixing the manuscript. Giving Scrivener credit, in the split second before I hit ‘enter’ a second time, I believe there was a warning box that said, “Do you really want to do this? You cannot Undo it.” Ahhh, but who reads warning messages when you are on a roll? This entry was posted in Reading and Writing, Weekly Brief and tagged NaNoWriMo, Sara Gruen, Scrivener, Water for Elephants. Bookmark the permalink.